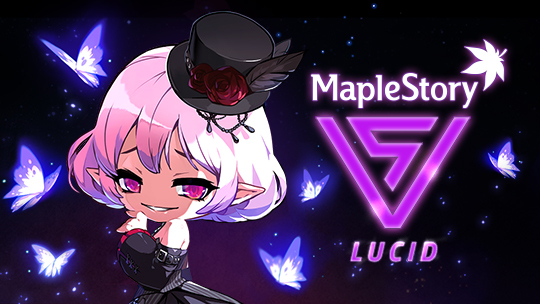 The 5th Job of MapleStory have been released for days, have you met Lucid who was seen as the toughest boss in Maple World? As the official site said, Lucid may look innocent, but her ability to control dreams and manipulate reality make her the most challenging boss in MapleStory history. The ultimate test has began, are you ready? Hidden deep within the cracks of sub-consciousness, scattered throughout the city of dreams called Lachelein, lays the mystery behind Lucid's rise to power in the Black Mage’s army and her own vision of Maple World. Lucid is a boss for only the most seasoned hero (Lv. 230+), unleashing a flurry of deadly attacks on her adversaries which will test your new 5th Job skills. • During the first phase of the fight, Lucid summons a variety of monsters such as Nightmare Butterflies and Golems, and even a giant dragon. • Lucid will also fill the map with deadly flowers that explode, dealing massive damage to the player. • During the second phase, Lucid and her butterflies are more lethal, flying around and firing relentlessly at the player. • Lucid will also target the player from afar with quick and deadly purple beams of energy that leave little room for escape! As the Master of Nightmares, Lucid will be available on January 4, 2017. Prepare to test your new 5th Job skills!